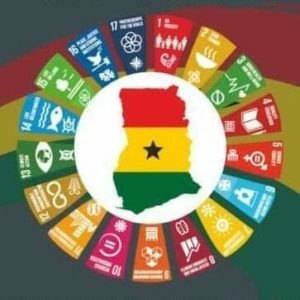 The National Development Planning Commission (NDPC) has launched the Voluntary National Review Process (VNR) of the Sustainable Development Goals (SDGs). 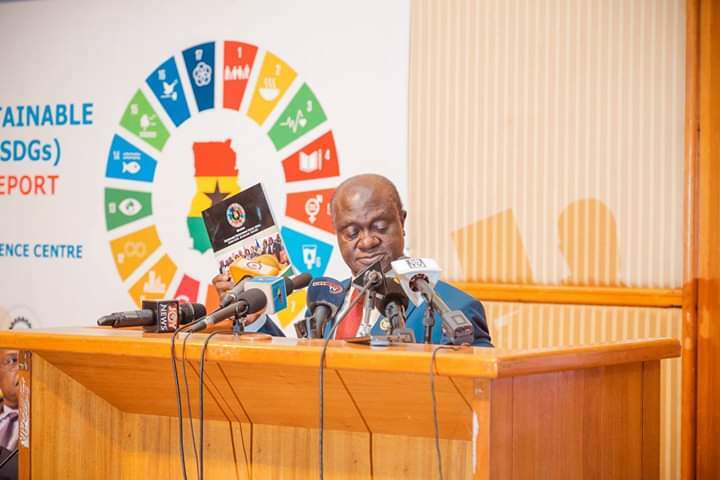 Speaking at the Media Launch, Minister of Planning, Professor George Gyan-Baffour said Ghana’s process will adopt a ‘’whole-of-government’’ and ‘’whole-of-society’’ approach with the active participation of a wide range of stakeholders at national and sub-national levels. The review he explained will assess; The institutional arrangement and enabling environment for implementing the SDGs; The progress of implementation across all 17 SDGs, including innovations and successful initiatives and Cross-cutting themes of ‘leaving no one behind; Youth engagement in the SDGs and synergies across the goals. He however observed that, the level of knowledge and awareness toward achieving the SDGs among the general public is low and encouraged all citizens especially the media to double our efforts in popularizing the SDGs, as well as Africa’s Agenda 2063. He said, to support the SGDs, media houses can play a lead role in creating public awareness, providing platforms for public discussions, helping to hold government and other development partners accountable. As part of the follow-up and review arrangements for the SDGs, United Nations Member States are expected to conduct regular, voluntary and inclusive reviews of the progress of implementation. Ghana has volunteered to conduct and present its first Voluntary National Review (VNR) report at the high level political forum in July 2019. The primary objective of the VNR is to facilitate the sharing of experiences and mutual learning among countries, including successes, challenges and lessons learned, with a view to accelerating the implementation of the SDGs. The VNR process in Ghana will among others be used to increase public awareness, deepen citizen’s engagement and promote national of the SDGs. In her welcome address, Acting Director General of the NDPC, Dr. Grace Bediako underscored the need for the media to help in championing the SDGs because the role of the media is critical to getting information on the implementation to all levels and in particular the communities. According the implementation is a collective responsibility hence the need for all stakeholders to commit to it in other to benefit citizens. Dr. Bediako said the media has the skills to communicate whereas the NDPC has the technical expertise to explain the SDGs. She underscored the need for the media to attach a level of excellence when it comes to reporting on the SDGs. She believes every report by the media could be linked to the SDGs. On her part, the United Nations Resident Coordinator, Lopez Ekrah commended government of Ghana for volunteering to participate in the VNR process. Ghana is joining 50 other countries in the process, she disclosed. She underscored the need for the private sector and all stakeholders to join in achieving the SDGs. The VNR will focus on Policy and regulatory environment for SDGs and Agenda 2063 and Progress of implementation of all 17 SDGs. 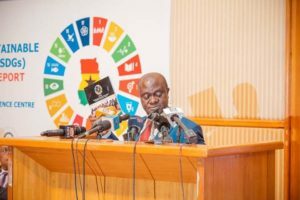 It will be recalled that the implementation of the SDGs in Ghana was formally launched in February 2016. A number of initiatives have been undertaken since then to localise and popularize the SDGs, including the commemoration of the appointment of President Akufo-Addo as co-chair of the Eminent Advocates for the 2030 Agenda for Sustainable Development last year. The baseline report was prepared to provide a reference point for tracking progress towards achieving targets of the SDGs and the corresponding Africa Union Agenda 2063. The baseline report was prepared by the NDPC and the National Statistical Service and the United Nations Ghana.